We pride ourselves on offering eavestrough cleaning for MUCH CHEAPER than most other companies, and we offer a SUPERIOR SERVICE! As well, we carry full commercial liability insurance and any employee working on your roof has the required Working At Heights Training Certification. We are well trained and do the job right! 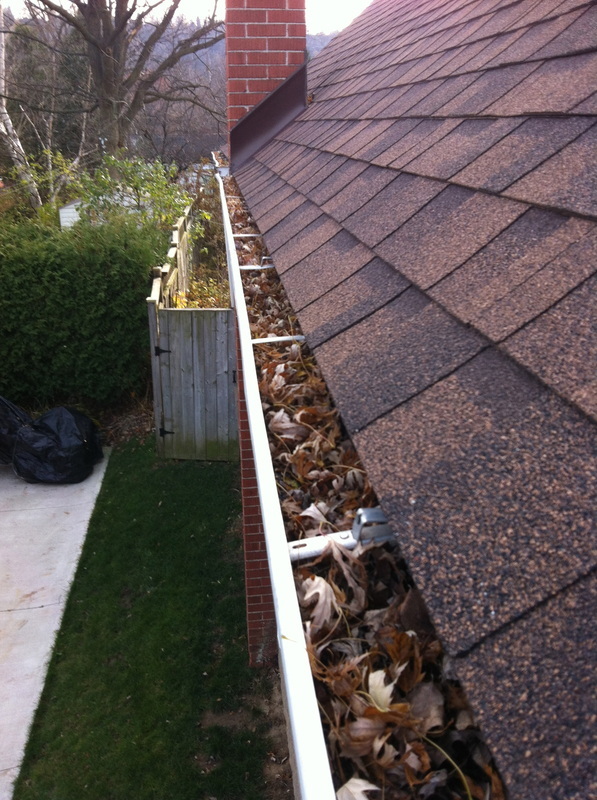 MOST HOUSES FALL INTO THE PRICE RANGE OF $80-$120 FOR FULL HOUSE EAVESTROUGH AND DOWNSPOUT CLEANING! WE CHARGE HALF THE PRICE OF MOST OF OUR COMPETITORS! As well, we assess your roof, eavestrough, and fascia to ensure they are all in good working order and do not have holes/leaks/wear. We provide minor repairs for great low prices as well as tree trimming to keep branches back from your house and roof, and can seal holes where critters have made their way into your attic. Eavestroughs are installed to control the flow of rain water down the roof of your house, but can very easily become clogged due to various natural debris including flower and seed pods, leaves, branches and twigs. Putting this off can cause severe water damage that is extremely costly. 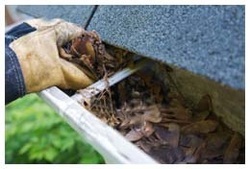 It is extremely important that you keep your eavestroughs clean and well maintained. If they are not maintained relatively often (at least once per year) this can lead to a variety of significant problems down the road. Don't pay ridiculously high prices when we offer the same high quality services for less! 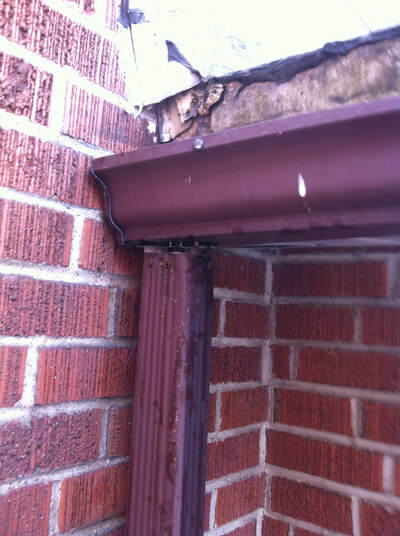 As well as cleaning eavestroughs, we do minor eavestrough and downspout repairs. 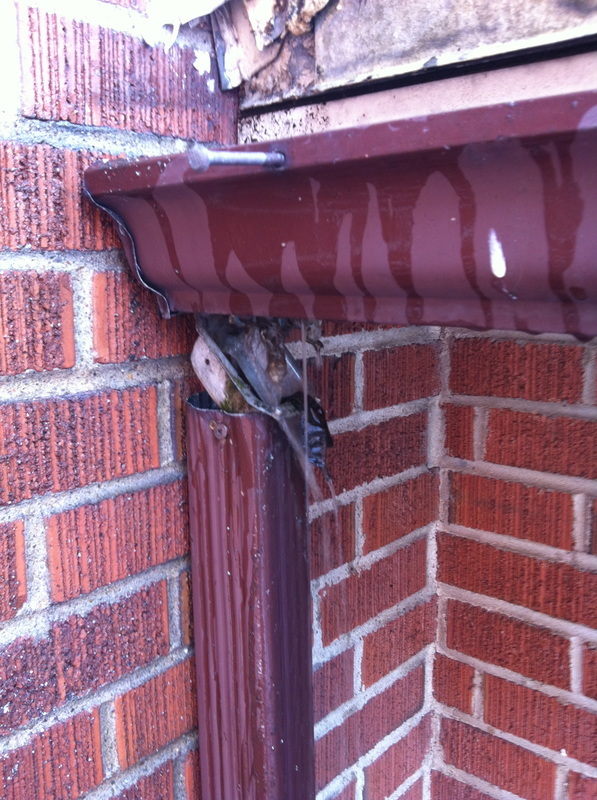 Most repairs involve either re-securing the eavestroughs to your house, or caulking seams to stop leaking. When your eavestrough become separated from the fascia (like the picture on the right) they are no longer doing their job in redirecting water away from the house. 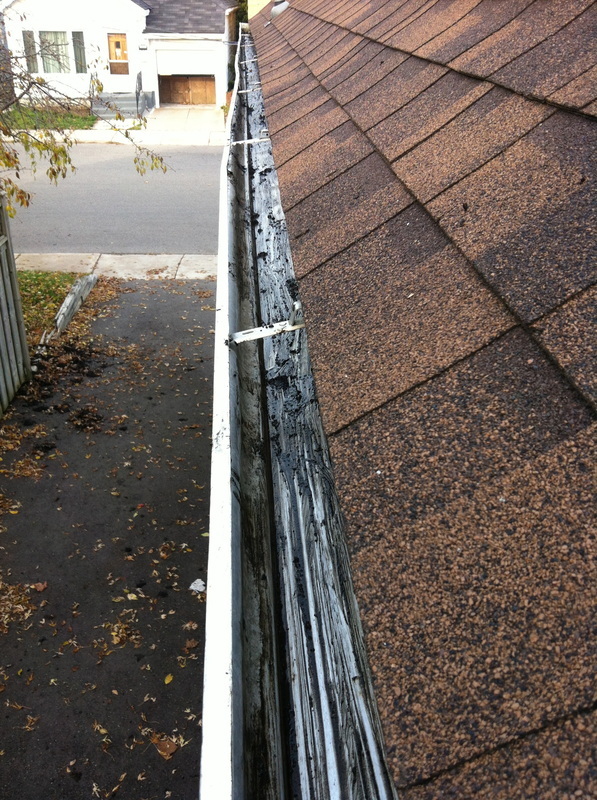 Water gets in under the roofing/fascia and can cause serious water damage. Its very easy for us to re-secure the eaves to the house, and often it is done for free when we come clean your eavestroughs. If the existing nails or screws are loose I can hammer those back in for no additional charge. If the eavestroughs need new hangers/brackets I have them with me and can install them for only $5 per bracket! 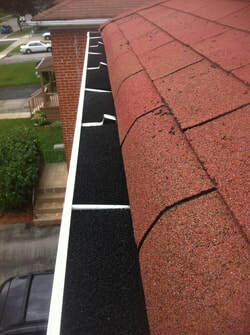 WE ALSO INSTALL GUTTER GUARDS! If your eavestroughs fill up quickly with many mature trees around your property, it may be less expensive in the long run to have a good gutter guard installed. I suggest this to clients who need to clean their eaves troughs more than once a year. Good gutter guards are not cheap to purchase and have installed, but require a lot less maintenance and will save you money over years of not needing them cleaned. 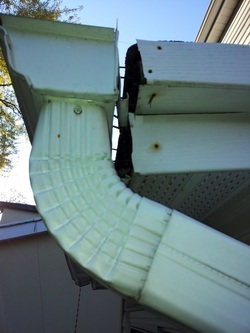 There are many options for gutter guards. Through my experience I have found two to be the most effective with minimal maintenance down the road. Those are the foam guards (like in the picture to the left) available at Costco and Home Depot, and the Mike Holmes Gutter Guards which are aluminum grates. There are pros and cons to both, but both work very well. Feel free to ask us about pricing and installation!